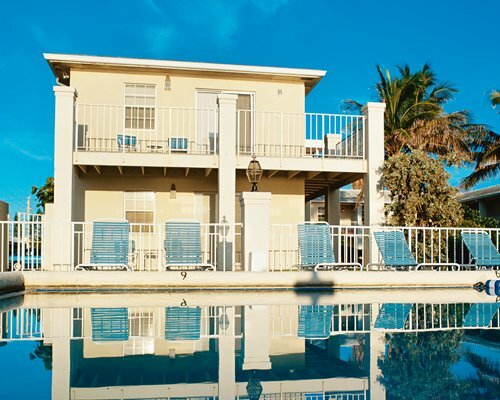 Just a short drive from the restaurants and shops of charming Delray Beach and a step away from the ocean, this elegant beachfront resort is the epitome of casual chic. With just under two dozen villas, this small resort provides an intimate and personal experience with a staff committed to your needs. When you want to take a break from the busy pace in town, spend the day at Gulfstream Manor. 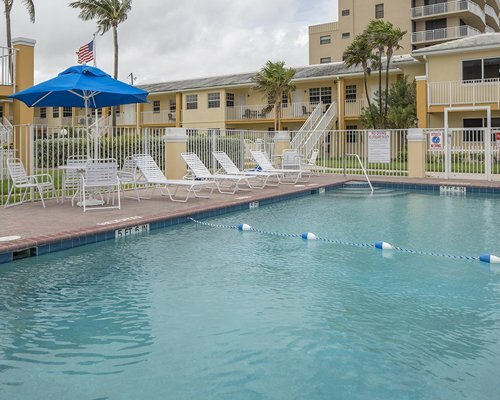 Delight in the Florida sun on the warm golden beaches with gentle waves. 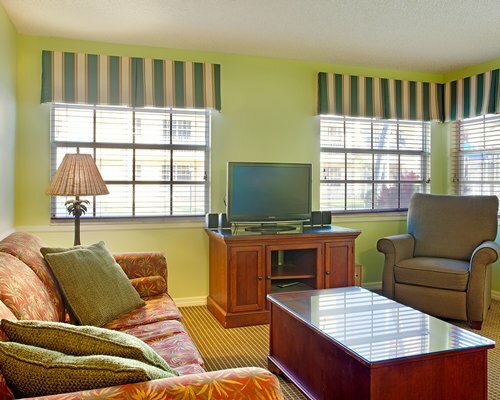 If you seek solitude, visit our quaint courtyard. This peaceful haven overlooking the ocean features a fountain and sitting area where you can enjoy a good book or visit with friends. Please note due to the size of the resort there is only one parking space per unit. The contemporary villas with their tropical decor also offer a view to admire. Four villas are oceanfront, while the others offer a view of the ocean or courtyard. 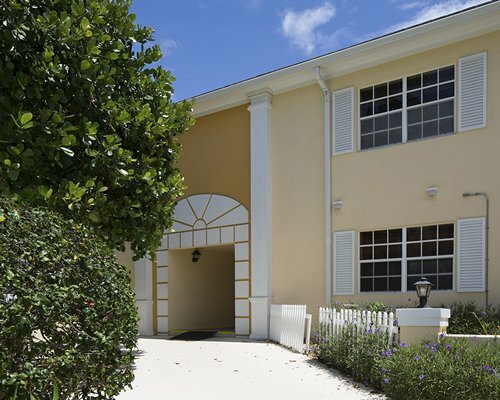 The layout of the building, along with a gate surrounding the resort, ensures your privacy while visiting us. Take a refreshing dip in the pool when you're ready to cool off or slip into the hot tub if you'd rather heat things up. You can also heat up the grill in the gazebo area and dine 'al fresco'on the outdoor patio tables. Year-round, you can admire the manicured landscape with its coconut palms, pink and melon hibiscus bushes, colorful flowers and lush green grass. 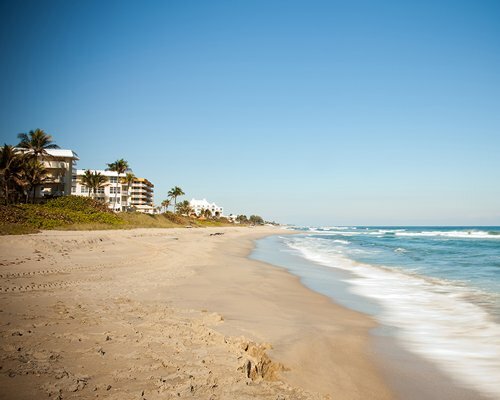 Located north of Boca Raton, this Palm Beach County city is a lively beach town full of galleries, shops and boutiques. 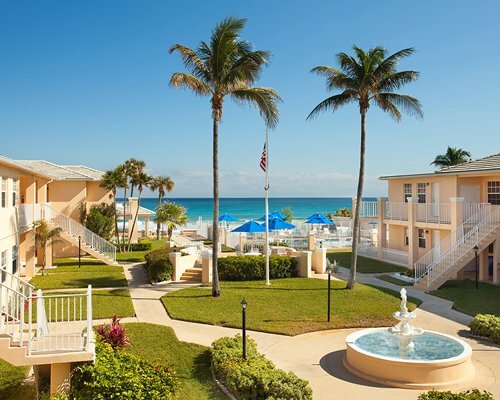 Delray Beach also attracts visitors with the Delray Beach Tennis Center, the historic Colony Hotel and the annual Delray Beach Garlic Festival. We're one better than a melting pot. Cultures don't dissolve into one another here in Florida. They remain whole, creating a collage of ethnicity that represents the global community, with special emphasis on tropical latitudes and seaworthy heritage. 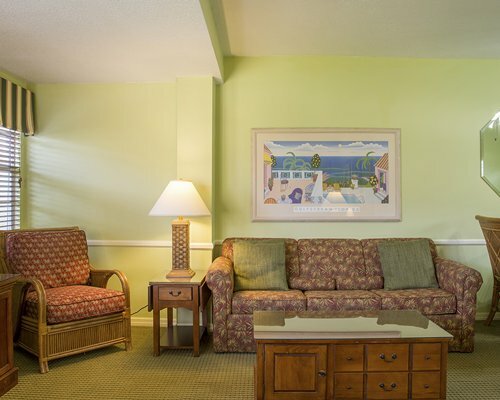 The nearest major airport is 12 miles away in Palm Beach. From the airport, take I- 95 South to Woolbright Road (exit 56). 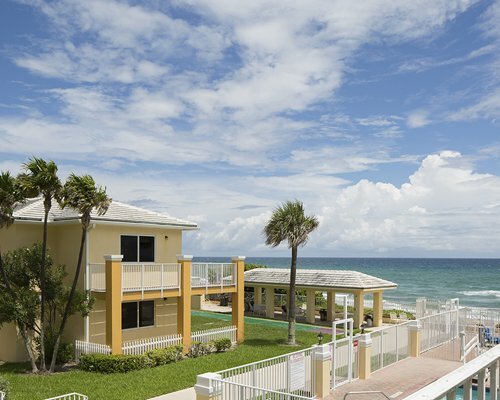 Go east to A1A (approximately one mile), turn right and continue about a mile to the resort. The resort will be on the left side of the road. Due to limited parking, only one parking space per unit is available. Please no boats, boat trailers or RV's.